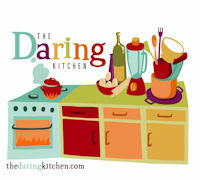 My apologies for such a short post today, but I'm dashing off to another Thanksgiving dinner tonight. As I've mentioned before, I like simple base recipes where I can easily change the flavorings. I used my meyer lemon madeleine recipe as a starting point and turned it into an almond madeleine. I replaced some of the flour with almond meal, omitted the lemon zest and added a bit of almond extract. I promise I'll have a proper post next time! Preheat oven to 375°F. Generously butter and flour 12 molds in a madeleine pan. I'm a sucker for molded treats, I need a madeleine pan so I can make things as good as these! Madeleines are some of my favorite things to eat, they're so light and fluffy, but supremely satisfying! Mary, I have been meaning to make madeleines for quite a while. Yous are such an inspiration! 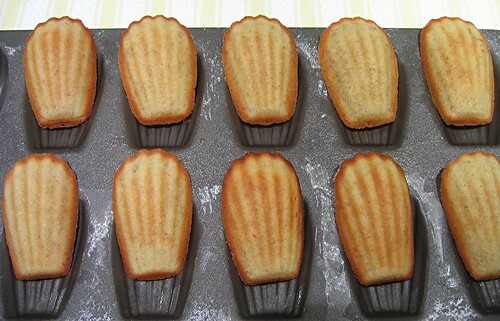 Madeleines might now make it into my holiday tins...yours are an inspiration. They are the most perfect looking little madelines ever! Wow, I have to try this recipe!! These almond madeleines look simple wonderful!! These look so delicious, I have all the ingredients and I'm making these tonight! They're so cute!!! It's like they're just waiting for me to pick them up and eat them!